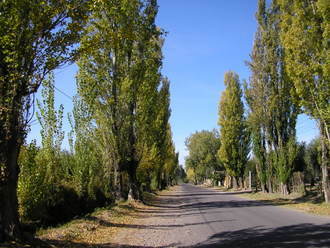 Maipu, about 10 miles east of Mendoza’s center, is the tourist heartland for visits to some of the region’s oldest and most famous vineyards. 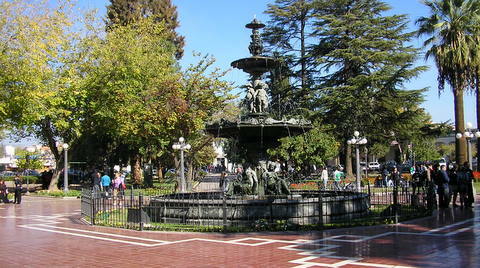 Maipu itself is a pleasant town, with an impressively landscaped Plaza. Within the town is the beautiful mansion that houses the Museo del Vino, Montecaseros 2625, if you wish to immerse yourself in viticulture, see wine related antiques or simply marvel at this magnificent Art Nouveau palace. It’s on the grounds of Bodega La Rural, Calle Montecaseros, which produces some decent wines at AR$7 (US$1.90) to exquisite labels at many times that figure. There are four basic ways to visit the vineyards, which stretch for seven to eight miles along, or just off, Calle Urquiza a couple miles outside of town. Your hotel or hostel can arrange a guided excursion which is the easiest way. 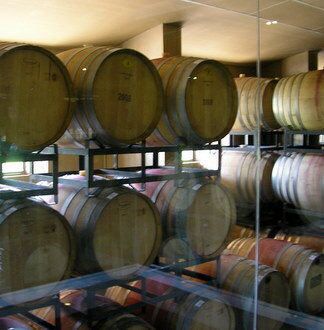 Prices range from AR$130 to AR$200 (US$35 - $55) for a day tour that will include several vineyards. 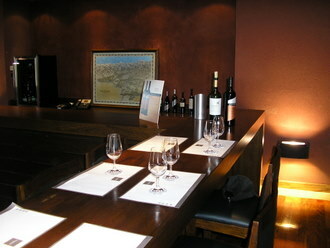 There are extra charges for wine tastings usually around AR$20 (US$6.50) per vineyard. 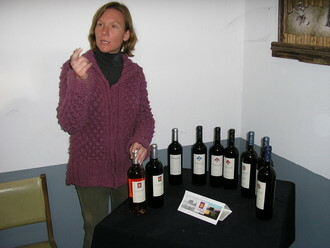 A tasting usually consists of a 3 - 4 oz glass of three separate wines a vineyard produces. Another popular touring method is to take the #43 bus for AR$1.80 (US$.50) from Mendoza and do not get off until past the traffic circle on Calle Urquiza outside of Maipu. (Note: make sure you have exact change or have purchased a prepaid blue bus card in advance). On Calle Urquiza there are several bike rental operations - AR$40 (US$11). It is easy to bike from vineyard to vineyard on, unfortunately, busy 2-lane Calle Urquiza. I was told that many people sample six or more wineries and get rather “tipsy” on their bikes, so caution and common sense are the words. You can also create your own tour by taxi. From Mendoza to Calle Urquiza, a taxi will cost around AR$40 (US$11.50) or take the bus to the Plaza in Maipu and hire a taxi from there. You can plan the vineyards you wish to visit and either work out a price for the driver to wait or else simply have the vineyard call a taxi to take you to the next. Visiting three or four vineyards in a day is very satisfying. Trying to see the fifteen or so in one day will become a blur, possibly in a most unwelcome manner. I would suggest that, if not on an excursion, a taxi from Maipu back to your accommodations in Mendoza is a more relaxing way to end the day than the hour in the bus. Make one stop at an olive farm. 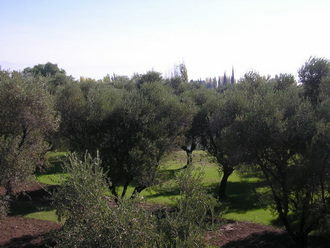 You will see olive trees as often as vineyards and usually at the same place. But the olive industry is nearly as important as wine. A fourth option is to walk from the Plaza in Maipu which I, a lover of walking, did until I realized the distance and, as I’ll relate, got some welcome assistance. 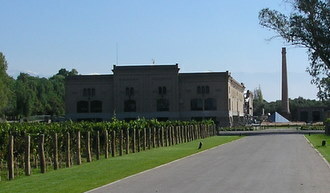 It is a 7 mile walk to the Trapiche vineyards from the Plaza in Maipu. 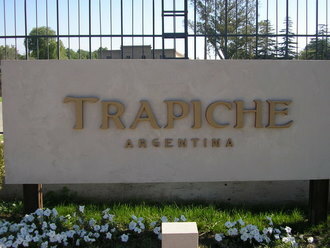 Trapiche is one of the oldest, most respected names in Mendoza. Producing 1.9 million bottles a year has allowed them to become a major exporter to North America and Europe. After nearly 120 years of family ownership, it has been in the hands of an international group of private investors for the past six years with a corporate committment to maintain the vineyard's traditions. Twenty-five percent of the fields follow a biodynamic growing system that is based on organic methods and, among other concepts, the phases of the moon and position of star constellations, before certain viticulture procedures are performed. 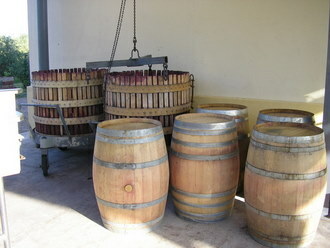 It may all sound new age but huge sums of money would not be invested if the methods were not producing quality wines. Trapiche plans to expand their fields using biodynamic methods. 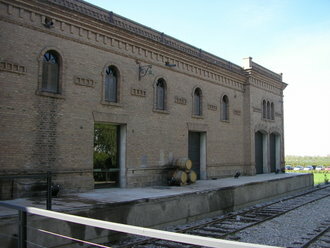 In October 2008, Trapiche finished a total restoration of the 1910 winery. 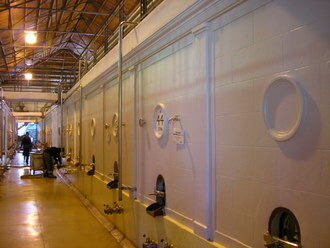 It is used to make limited prestige labels and is their visitors center. 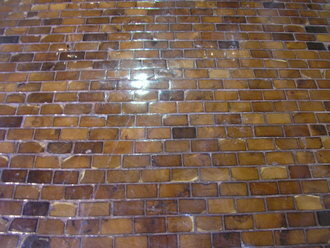 It’s a striking brick structure with its original concrete and glazed tile holding tanks, oak casks and unique wood floors - 4" deep vertical end wood cuts are set, and look and feel like bricks. I was the only person for a tour when I arrived, and the guide, Miguel, noticing my chef hat and shirt, ended up spending an hour explaining their viticulture techniques, biodynamic farming and Argentina’s wine history. 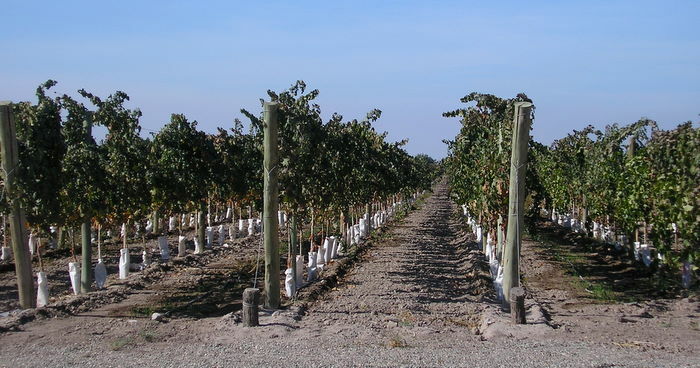 Italian, French and English immigrants brought over to build the railroad and reconstruct Mendoza after the 1865 earthquake had both vines and olives sent over by family. Argentina’s most famous grape, malbec, originates in southern France, but the French use it is as a blending grape. 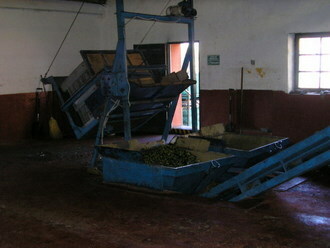 Mendoza uses it to make everything from a dry Rose to Port. 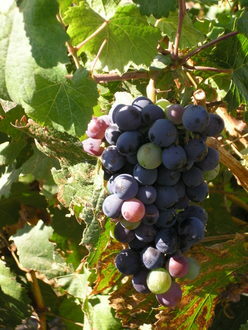 The torrentes grape, second most common, is from Italy with other varieties from Spain. 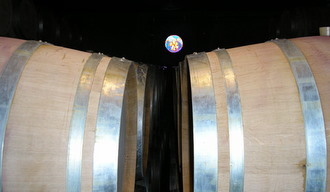 All stages in the process combine science and art, from the correct soil, to the lining of the vats to the proper type of either European or North American oak casks. Every decision affects the taste and quality. Every decision affects the bottom line. After the tasting I asked Miguel if there was an olive farm close enough to walk. 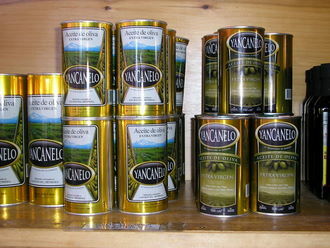 Argentina's Wine Country is the olive oil region. Throughout the Mediterranean wine region of Europe, olive groves and wine vineyards form a patchwork. Both olive trees and grape vines thrive in the same climate, but they must be planted in separate fields otherwise bees will cross-pollinate - olive wine? Miguel spoke to his manager, who passed him car keys, and for the next two hours Miguel and I toured Aceites Yancanelo and Bodega Carinae. Aceites Yancanelo products range from extra virgin cold pressed oil to a killer olive paste - terrific on bread - and sun dried tomatoes. I discovered that I had never known the entire operation in producing oil. After the fruit and pits are crushed, the mash sits for a few days. Water is added and within a short period of time the oil seperates, floating to the top, as the solids sink to the bottom. 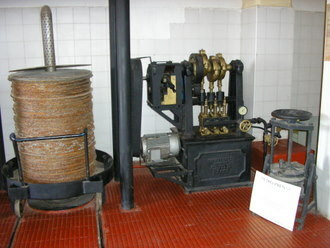 The oil is skimmed from the water, and the solids are strained. The water is used to irrigate the olive trees and the solids are dried and used as fuel for the boilers!! This has been the process among all the olive growers for well over a century. Bodega Carinae is a boutique vineyard that produces 70,000 bottles a year. It had been abandoned for 30 years when a French couple purchased it a decade ago - olive trees as well. 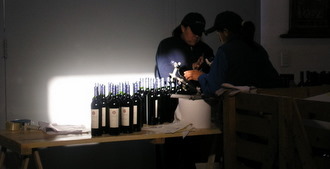 The Bodega produces a line of prestige wines (malbec grape) as well as olive oil. The olive harvest, conveniently, occurs just after the grape season. 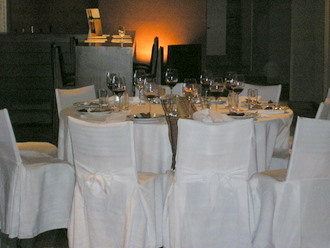 Mendoza is not the only wine producing area. Wine country stretches for hundreds of miles over five provinces along the Andes comprising the world’s highest vineyards - reaching over 5,000 feet above sea level and the greatest number of days with sunlight. This is certainly making Argentina a major international center for fine vintages.